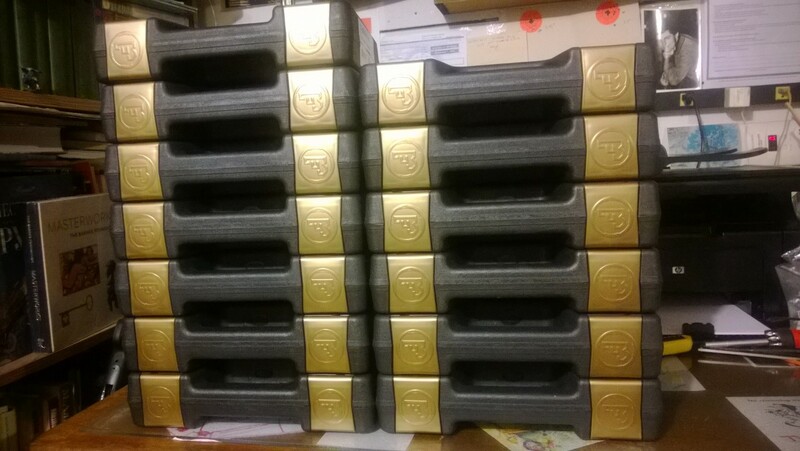 I have finally gotten a shipment of CZ 75B and CZ 75BD pistols - first in a year. I love CZ 75 line - the pistols are inexpensive, well made (steel frames are somewhat of a rarity in this day of plastic handguns), and are very accurate. It is perhaps the most accurate service pistol ever made: Sig P226 will give it a run for the title, but at twice the price. Not surprisingly, it is also one of the most widely cloned designs in the world, Tanfoglio Witnesses and Turkish Caniks being the best known and very well executed. When the customers started coming in, I was surprised to learn that most preferred the straight safety 75B to the 75BD decocker model. Personally, I never rely on safeties of any kind, but intuitively the decocker model "does more", and at the same price should be a better choice. Surprised, I started asking people why they go for one versus the other. It turns out, the rumors on the Internet say that 75B has a better trigger, and that was often cited as the reason. This surprised me, because, well, there is nothing in decocker design that should affect sear engagement, so there is no intrinsic reason why the trigger should be worse. With a bunch of them on hand, there was no better time to stage the experiment, and so I did. First I tried to see if I can feel the difference during the single action pull. I could not - the difference between triggers within the model was at least as much as the difference between the models (if even there was one - I could not feel it). Then I did the following. I put a ruler on each gun between the magazine eject button and the front of the trigger guard, and measured the distance that the trigger traveled when pulled, before the hammer would drop. There were two distinct stages in the trigger - a long, light first stage, and a short, heavier second stage. The second stage is the one where the sear disengages the hammer - when this stage is short and crisp, they say that the trigger breaks cleanly. When it is long, people speak of "creepy" triggers. I have also measured the weight of the single stage trigger pull. The results are here. As you can see, the triggers on B models are slightly heavier, but there is no statistically significant difference in creep. None. 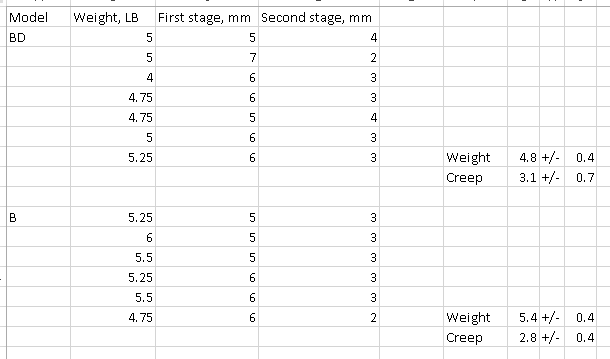 The creep averages are within half a standard deviation from each other. So if anything, the BD model has a BETTER trigger because it is lighter.